Are Turkeys Safe To Eat for Thanksgiving? With the holidays right around the corner there has been a lot of discussion about the food that you will be consuming, both good and bad. Recently there was a blog post that attacks an American tradition: the Thanksgiving turkey. As a farmer, I really dislike when the farming community gets attacked by someone who has no agriculture or science based background and uses fear to sell their story. But it happens and I’m sure it will continue to happen. Katie recently wrote a great post in response to the attack on your Thanksgiving turkey called: Ractopamine and Turkeys: A Response to FoodBabe. In that post you will learn that yes, your Thanksgiving turkey is safe to eat and that turkey farmers raise the turkeys with the utmost care and respect. 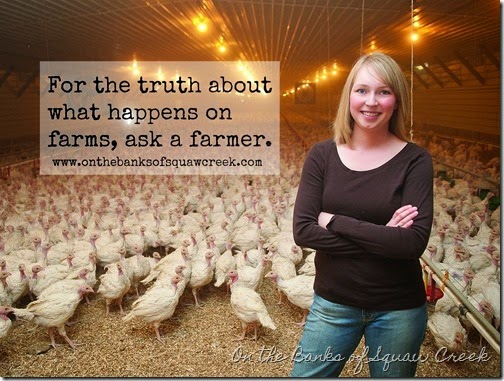 She also has a lot of other information about her family turkey farm on her blog too! And Katie and her husband were also featured recently on an ABC news station about their family’s turkey farm. One last thing today, Katie has given me a copy of her new book called “My Family’s Farm” to give away to a lucky reader! This book is all about her family’s turkey farm and stars her eldest son, Adam. He takes you on a tour of the turkey buildings and tells you all about how they are grown and raised on his family farm. It’s a great book for young children and is out just in time for the big “Turkey Day” next week. 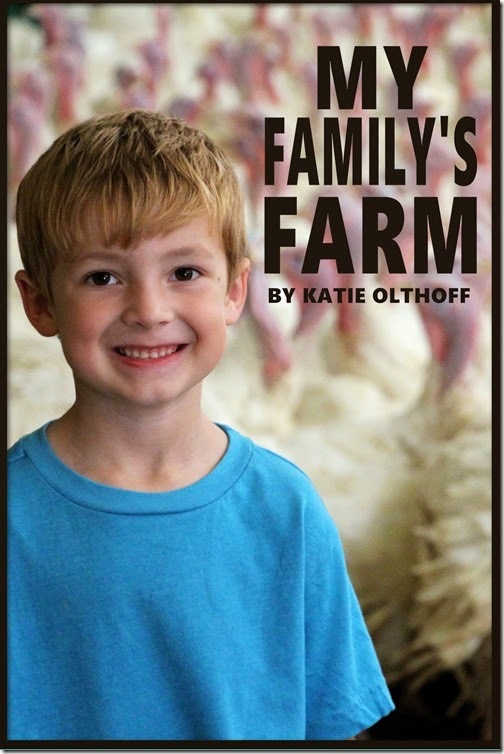 So if you’d like to enter for a chance to win a hard copy of My Family’s Farm by Katie Olthoff, please leave me a comment below of your favorite way to use leftover turkey. Do you like to make sandwiches? Casseroles? What’s your favorite? Mine is when my brother-in-law makes creamed turkey with biscuits. Yum! I love to put mashed potatoes and gravy on the turkey and go to town! Congrats! You’re the winner of Katie’s new book called “My Family Farm”! Please send me an email (sarashousehd@gmail.com) or contact me via social media with your address and we’ll get it put in the mail right away! Thanks! We usually make sandwiches and also use some in casseroles.